Hey everyone! It’s VaderFan2187 here with another post about upcoming LEGO Marvel sets. Today, I’ll be taking a look at the upcoming 2019 LEGO Spider-Man sets. 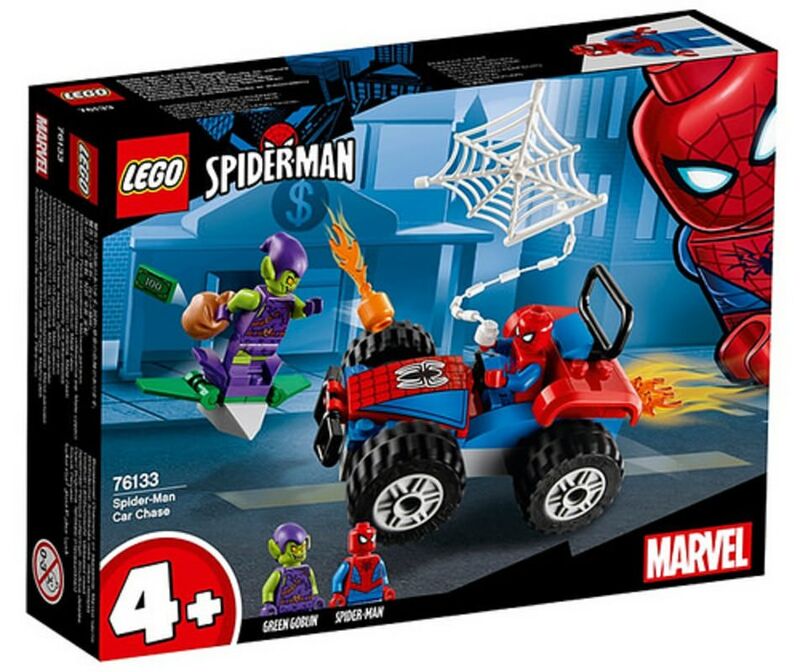 The 2019 LEGO Spider-Man sets were revealed a while ago and look pretty interesting, from many new Spider-Man vehicles, to 4+ sets, to a new Spider-Man minifigure! Let’s take a look at these upcoming sets! 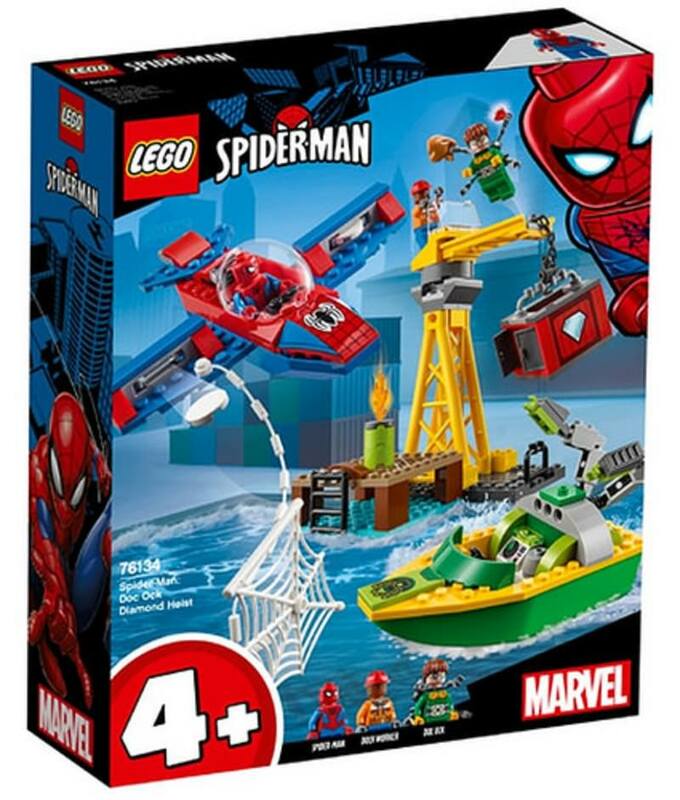 First off, there are two LEGO Juniors sets (now rebranded as “4+”) released for the Spider-Man theme in 2019. The smaller of the two is this 76133 Spider-Man Car Chase, which I believe will retail for $9.99 in the United States. 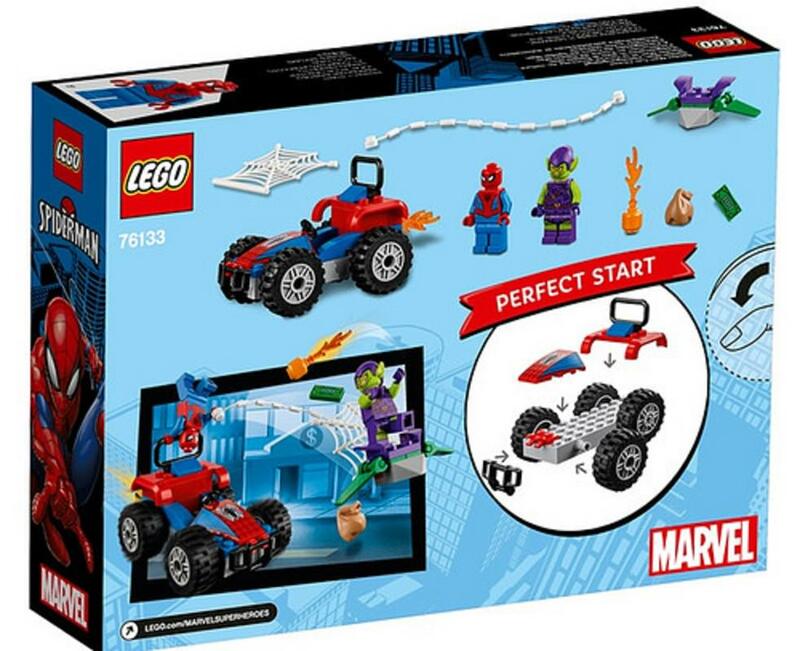 It comes with a very simple goblin glider and a little car for Spider-Man. The minifigures are a new Green Goblin figure (which I think looks pretty sweet) and the new 2019 Spider-Man figure, minus the dual-molded legs. Spider-Man comes with a web piece, while Green Goblin gets a bag, a printed 1×2 tile representing money, and a very simple pumpkin flame bomb. All in all, what do I think of this set? 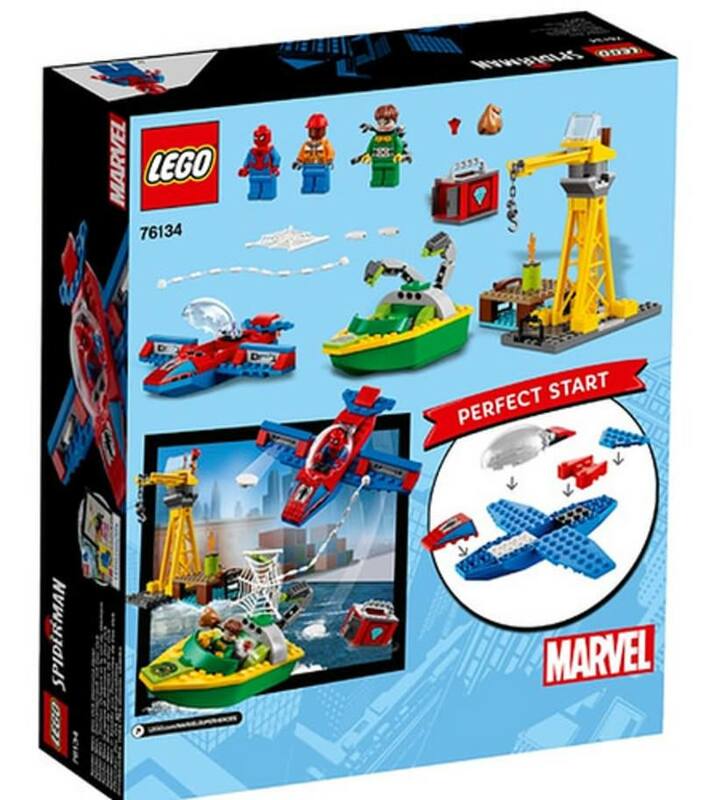 I think it’s a decent little set for younger LEGO fans, but I personally have no interest in it as the only thing appealing to me is the Green Goblin figure. The builds are also fairly boring as we’ve gotten several Spider-Man cars in LEGO history. 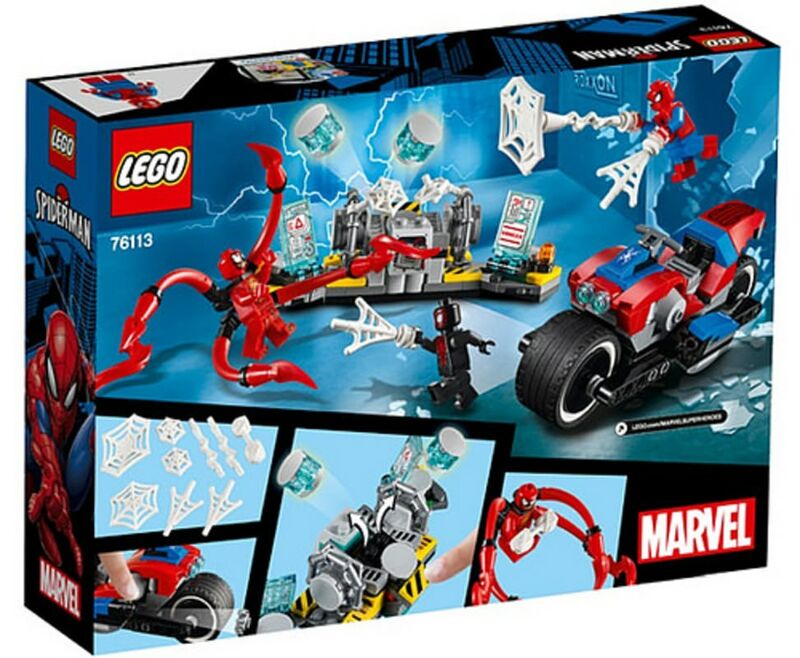 The other LEGO 4+ Spider-Man set is 76134 Spider-Man Doc Ock Diamond Heist. My guess is that this set will retail for $29.99 in the United States. There’s quite a lot more to see here, as it’s a bigger set. The first minifigure in the set is Spider-Man, who, like in the other 4+ set, sports the new 2019 Spider-Man design minus the dual-molded legs. The second minifigure is Doc Ock, with his classic round brown hairpiece, a green outfit, and four very small arms (built around the relatively new Outrider neck attachment piece). The final minifigure is a generic construction worker. 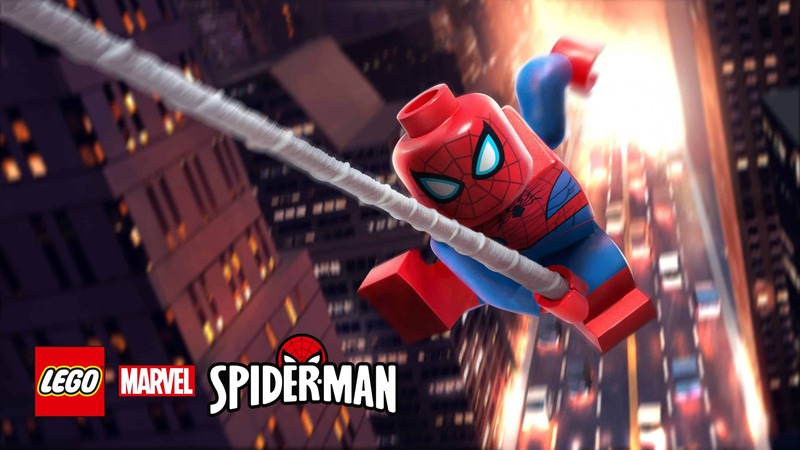 There are three builds in the set – the first build is a red and blue plane for Spider-Man. The bubble canopy and proportions make it look very cartoony/campy, but I still think it looks reasonable overall. There’s a space in the cockpit for Spider-Man to sit, as well as disc shooters built into the wings. The second build is Doc Ock’s boat. It’s built around the Juniors boat mold, and has two poseable arms coming out of the back. There are also details like a green windscreen and a printed 2×2 control slope at the back. Finally, the last build is a dock, with a bright yellow crane that cleverly uses the rollercoaster track piece as its boom. There’s also a barrel on fire and a container with some diamonds inside that Doc Ock is presumably after. 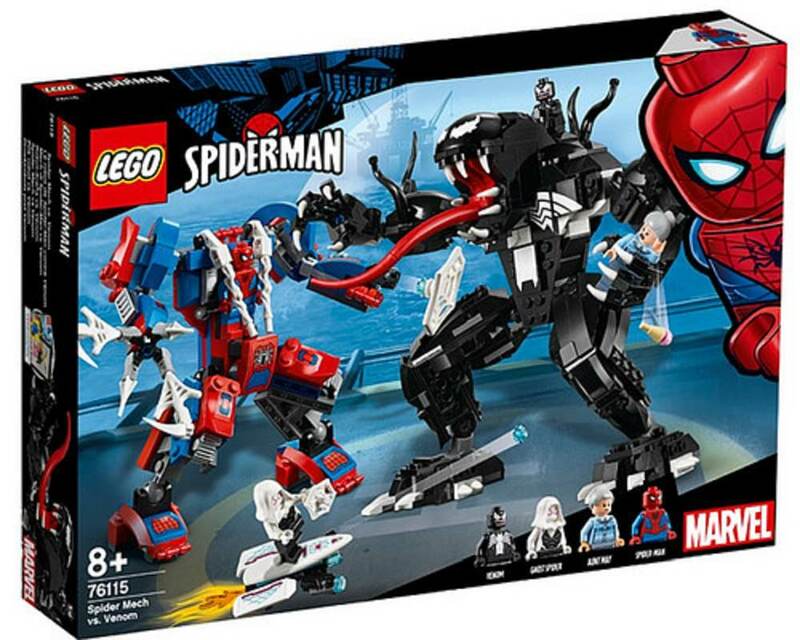 Well, what do I think about this LEGO Spider-Man 2019 set? Well, once again, I’m not too interested in it. 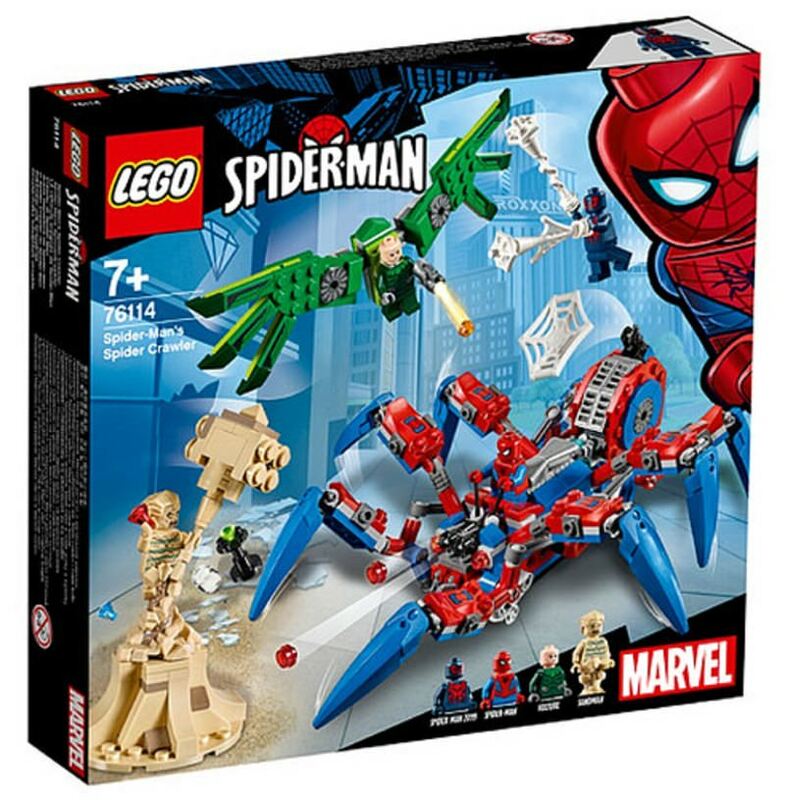 The builds don’t interest me as they are in the juniorised 4+ style and lack detail, and the minifigures aren’t that great either – Spider-Man comes in all the 2019 sets, the construction worker is nothing special, and the Doc Ock minifigure looks lame with his tiny arms out of the back. 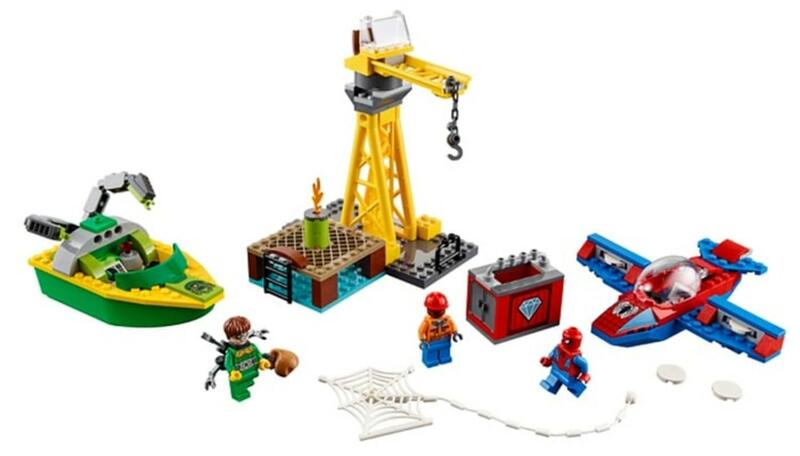 Still, it looks like it will be a fun set for younger LEGO Spider-Man fans. 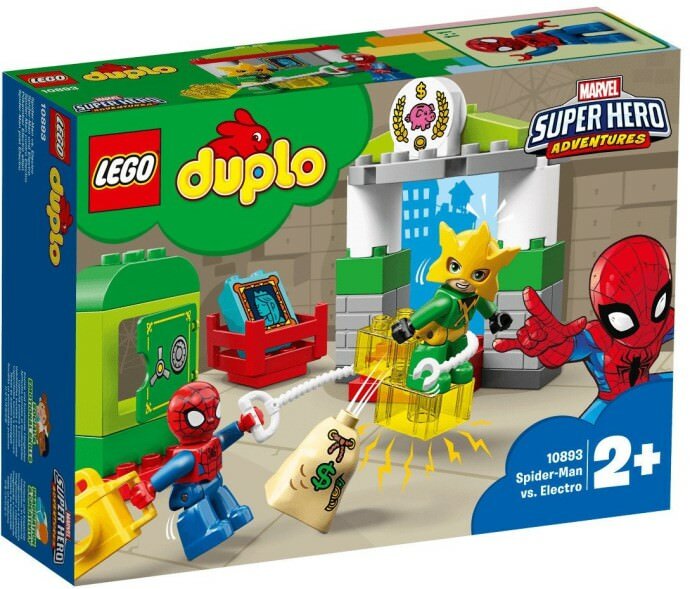 Very recently, this new LEGO Duplo Spider-Man set was revealed! This is a small set that comes with LEGO Duplo versions of Spider-Man and Electro! The builds are a small bank, a painting in a crate, and a vault. Obviously this is a 2+ LEGO Duplo set, but the part I am most envious about is the classic comic version of Electro. It’s what Electro looks like in the comic books and we have never gotten that version of Electro in minifigure form. Also annoying is the fact that Electro is the only new villain in the 2019 Spider-Man sets (not counting the very different version based on The Amazing Spider-Man 2). Oh well, hopefully we will get this classic version of Electro in minifigure form someday. As for now, we just have to be envious of the 2-year-olds. Now we move on to the “big kid” sets (just kidding). 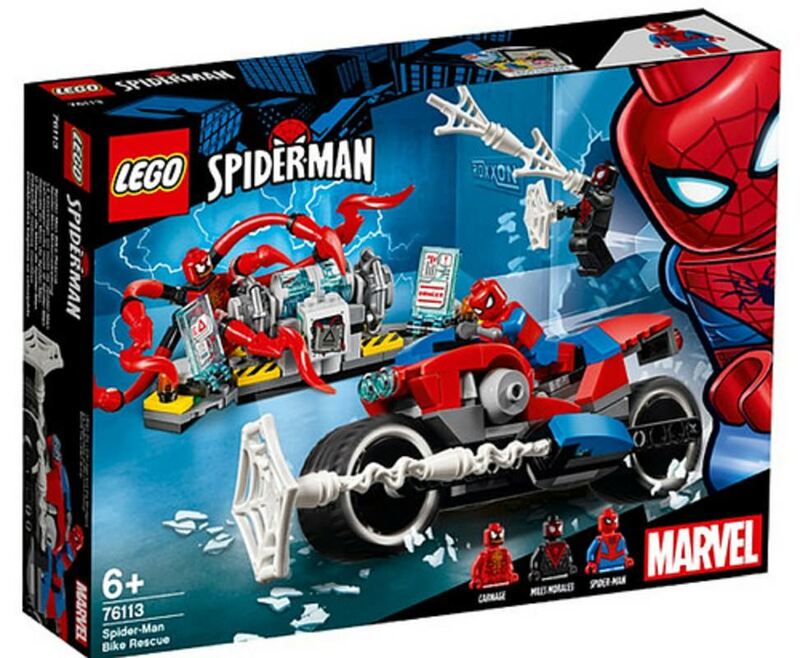 The smallest of the three regular retail sets is 76113 Spider-Man Bike Rescue, but before we talk about the set itself, it’s worth noting that even the regular retail sets have been rebranded as “Spider-Man” instead of the old “Marvel Super Heroes”. Anyway, this set comes with the new 2019 Spider-Man minifigure (who has dual-molded legs), a new Carnage minifigure, and Miles Morales. I like the new Spider-Man figure (though maybe it’s just that I’m really really tired of the old one). The Carnage minifigure itself looks pretty darn good, but I don’t like how its symbiote arms are so incredibly huge. I saw a comment by a LEGO fan that said, “when the Carnage arms are much larger than the Doc Ock ones, you know you’re doing something wrong”, and I could not agree more. Miles Morales is fine but I think it would have been nice to get a new version of him. For me, a very interesting part is the new web accessories – these are reminiscent of the Power Bursts introduced in 2018, and have several different types of web blasts. These will definitely help to spice up Spider-Man MOCs. As for the builds, I think they’re okay – Spider-Man gets a bike which is pretty superfluous and a little bit ugly. It’s also way too big and I don’t understand at all why Spider-Man needs a bike. The other build is a lab that has an exploding feature. It looks alright and is a decent backdrop for a fight. I believe this set will be priced at $19.99 USD, in which case I think it’s priced alright and I will likely get it. If it’s $29.99 USD, then it’s definitely overpriced (if you ask me). 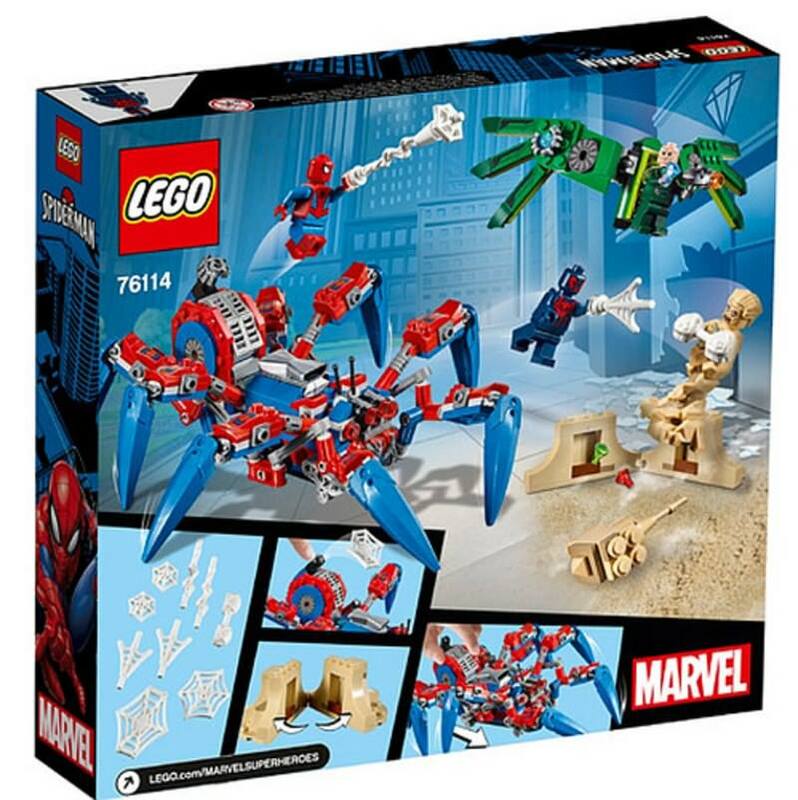 The second set is 76114 Spider-Man’s Spider Crawler. I anticipate that this set will retail for $39.99 USD, though anything less would be “a surprise, to be sure, but a welcome one”. It comes with four minifigures, the first of which is the new 2019 Spider-Man minifigure which is nice as always. 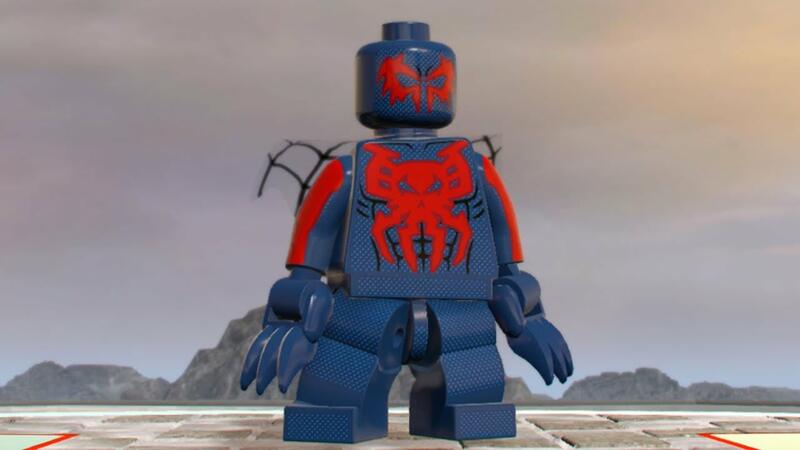 The second minifigure is Spider-Man 2099, which first in the LEGO Marvel Super Heroes Videogame. 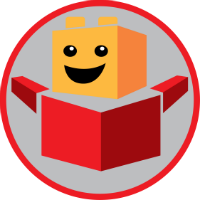 It sparked lots of speculation from LEGO fans as to whether or not we’d get it in physical form, and now we have. Personally, I think it’s a rather bland suit with its drab color scheme, but I’m happy for the fans of this suit who can get a LEGO version of it. 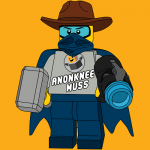 The third minifigure is a new version of Vulture, who has the same old man head but a new dark green outfit. The final figure is Sandman, who is in his full sand mode, made fully from tan pieces and using an awesome LEGO Nexo Knights leg piece in tan to show his transformation. He also gets a giant hammer made from sand. There are a few builds in the set, but the largest one is Spider-Man’s Spider Crawler. It has a red and blue color scheme just like Spidey, and while I usually don’t like vehicles for Spider-Man, this vehicle is pretty unique. Yes, it’s as impractical and unrealistic as most other LEGO Spider-Man vehicles, but it’s pretty cool to get a large walking mechanical spider. The legs are mounted on Technic pins and it looks like there is some sort of walking mechanism. There’s also a seat for Spidey, an engine, and three stud shooters (two at the front for eyes, one at the back that shoots out little tech spider pieces from the Nexo Knights theme). The second build is a small winged jetpack for Vulture. It’s smaller than the MCU wingsuit but I think it looks great, with angled details and printed jet fan pieces. Finally, Sandman gets a small sand pedestal that he can stand on to make him look larger. It can open up to hide his stolen diamonds – a clever little feature. As for my thoughts on this set? I think it’s cool and fairly innovative, and I definitely will get it. 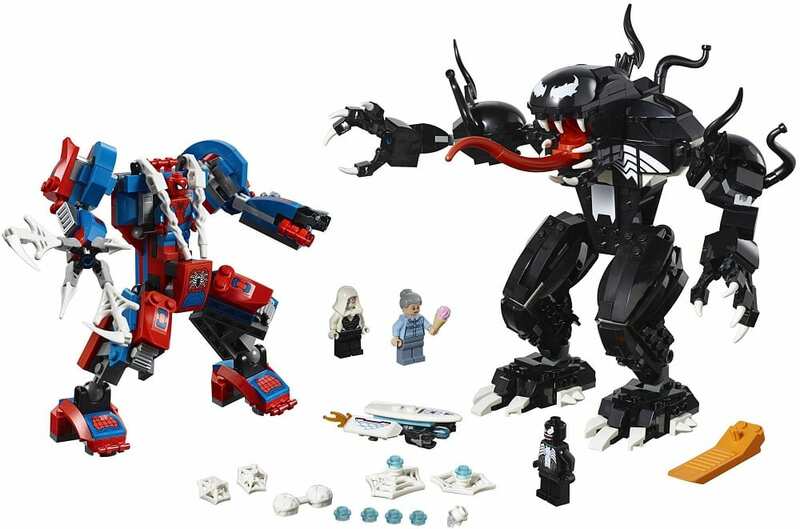 The largest of the 2019 Spider-Man sets (at least those that have been revealed so far) is 76115 Spider-Mech vs. Venom. I believe this set will retail for around $49.99 USD. I think the minifigures in this set are quite good. It has the new 2019 Spider-Man, an updated Aunt May, a Venom minifigure (which is cool but a little bit underdetailed, especially without leg printing), but perhaps the most anticipated figure in the set is Spider-Gwen herself! She makes her minifigure debut in this set and is based on a very popular character. I am glad to get her in LEGO form but I do think she’s a bit underdetailed, with a plain hood and unprinted legs. The builds are also pretty awesome too. There’s a small flying surfboard mounted on a exhaust for Spider-Gwen. It has a pair of stud shooters that can fire off the new web pieces. There’s also a red and blue mech for Spidey, and while impractical, is still alright. It has clever details like the new web pieces being used to form a rollcage for the cockpit. However, the biggest build in the set is also the best – the huge Venom symbiote build! 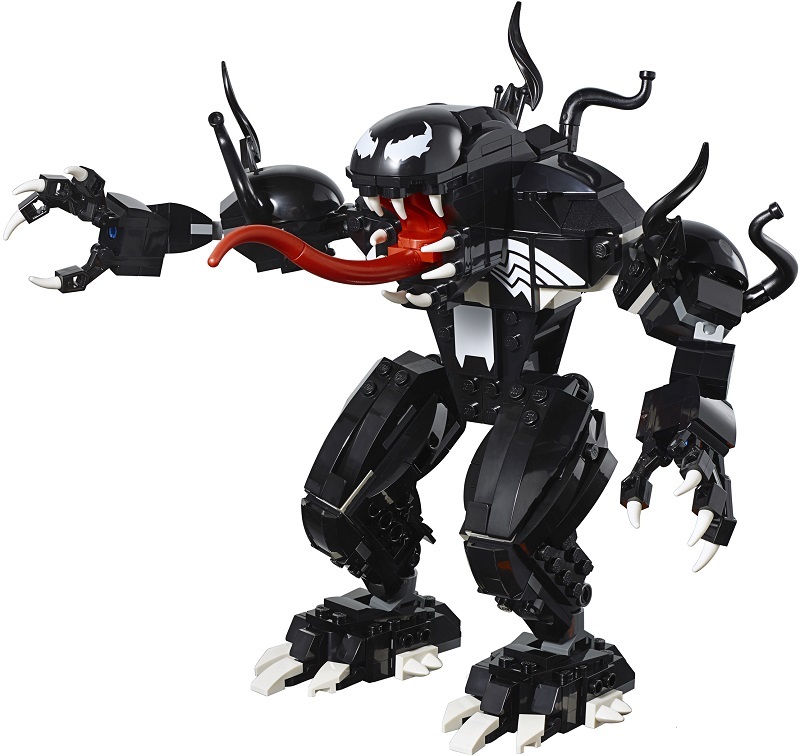 It’s basically a giant LEGO Venom, complete with printed eyes, streaks of symbiote all over, and a long red tongue – what’s not to love?! Overall I think this 2019 Spider-Man set is quite cool, and despite some underdetailed minifigures, I still like this set and will get it. That’s all for today! Thanks for looking, let me know what you think in the comments below! Are you excited for the upcoming 2019 Spider-Man sets? Which is your favorite? 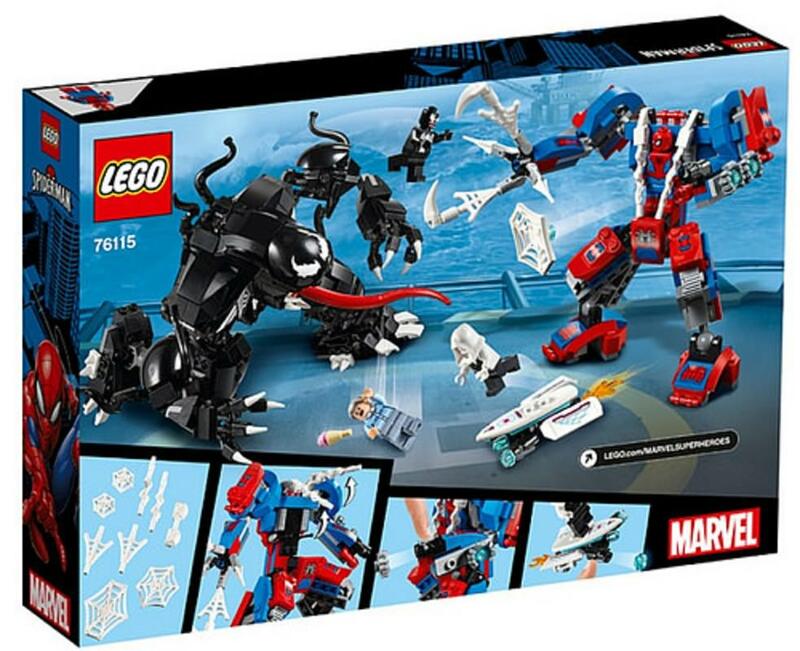 Upcoming 2019 LEGO Spider-Man sets preview, including; 76115 Spider-Mech vs. Venom, 76114 Spider-Man's Spider Crawler & 76113 Spider-Man Bike Rescue. That Spider Crawler looks just absolutely stunning. Definitely my favourite spider-vehicle this wave!